Talking San Diego Comic Con 2016 With Guest Contributors! This is the time of the year where chatter of San Diego Comic Con International starts to pick up. Similar to last year where preregistration took place November 8th 2014, many are expecting it happen on November 7th this year. For the uninitiated, because the demand to attend Comic Con far out weighs the availability of badges, CCI (Comic Con International, parent company of San Diego Comic Con and Wondercon) opens up badge sales to attendees from the previous year first where only a portion of the badges are sold, then the rest are sold during general registration which takes place a few months later. 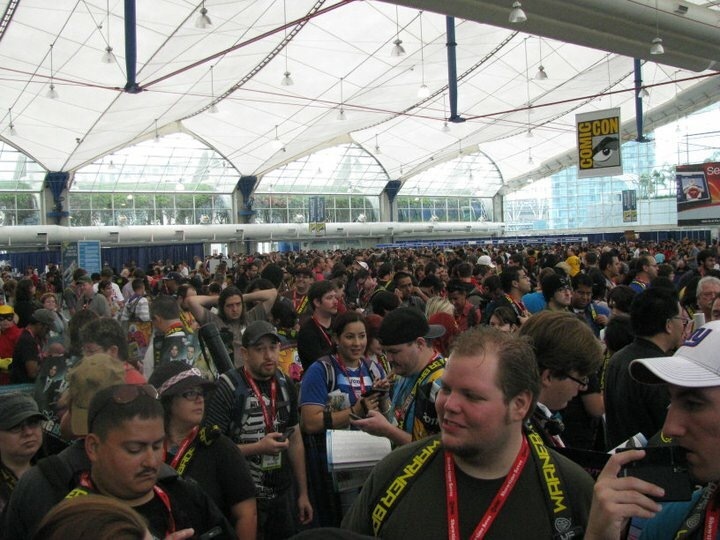 I write up the occasional San Diego Comic Con article and do my own coverage during the con but just like the con itself, the topic of SDCC is massive. With preregistration taking place some time soon, I wanted to write up an article and have a some more opinions from individuals who are well versed with all things SDCC. Here contributing to the article are three awesome people who provide some of the most in depth content pre and post SDCC. Biggest news for San Diego Comic Con 2016 so far is the *possibility* that CCI will be mailing badges. What kind of effect, if any, do you see this having if this comes to fruition. Kerry: The biggest drawback to mailing badges is that you risk increasing the odds that people are going to try to scalp their badges, because you’ve effectively made the process a whole lot easier for someone who’s so included. But honestly, I think that’s the kind of thing that would happen long-term rather than short term. Considering how hard it is to get a badge to San Diego Comic-Con, I don’t think we’re going to be looking at hundreds of scalpers getting their hands on badges and re-selling them on eBay next year (assuming the policy comes to pass at all), simply because it’s so difficult to get a badge even normally. But I do think if word gets out that this is a possibility, we could be looking at more scalpers being added to the mix long-term. CCI has always been one of the better conventions when it comes to tracking down badges being sold on eBay and Craigslist and the like, and I’d like to think they have deterrents in mind. On the flip side, the biggest plus is that it would eliminate a lot of lines, make it easier for those with single day badges to get to the line they really want to be in rather than the pick-up line, and it would also free up presumably hundreds of volunteer hours for other tasks. So there’s definitely plus and minuses to mailing badges, and I’m sure CCI has been debating all of them internally. Leonard: We all talk about CCI like it’s this mammoth organization, in a dark boardroom with nefarious plotting and dastardly scheming but this announcement is yet another prime example of CCI’s absolute goal – to get people out of those damned lines and into the event itself to enjoy and appreciate it. Everything they’ve done in recent years screams their intention… It just doesn’t help when us attendees come along and mess around with their plans! A dedicated line for early queuers positioned so they don’t get in harms way? Let’s queue up there a day early! Wristbands for people to collect and then head off to enjoy a proper nights sleep? Let’s camp out regardless – and game the system for our mates as well! They must tear their hair out every July! The second I posted about the possibility of mailed badges, I got dozens of messages on social media, highlighting their own fears: what happens if badges get lost in the mail? How will Preview Night stickers work? Aren’t people going to have to line up for their badge covers, bags, event guides anyway? How can they trust some out there won’t game the system and use this to create a new scalping method. Personally, I understand what CCI are trying to do but I suspect it will open up a hornet’s nest that they won’t be able to correct or back-pedal from in a fast enough fashion – at least with wristband issues, they move quickly and change tactics the following night. When you’re relying on snail mail, you’re automatically putting yourself in the slow lane. Sully: For the fans (those attending the convention), I think it is a great move. Instead of waiting in yet another line to pick up your badges, you would already have them in hand when you arrive in San Diego. That’s one less thing to wait on and some free time to enjoy the rest of the city. On the flip side, it introduces elements that have only really been seen at other conventions around the country. Scalpers could be a very real thing now. But could CCI have already thought of this? What if they were to include your photo on the badge? That would make it pretty easy to verify the owner to the correct badge (cosplay aside). And then the question that popped into my head first – how will they hand out the awesome WB bags and convention guides? Maybe there will still be some sort of check-in process to activate badges?? We’ve had two years of the Hall H wristband program, each having a slight variation. Do you see it returning for a third year? If so, would you change anything about it? Is the wristband program here to stay? Kerry: I think the wristband program is still being tweaked, and likely will continue to be tweaked for a few years. While I don’t think that it’s cut down on camping out, and it’s probably even increased the time those lines start a bit, I do think that the sheer fact that it mostly negates the worry of “Will I sit here for 10 hours and even make it into the room?” has made it a good program. Take, for instance, Shawn Marshall, aka Parks and Cons. He never would have gotten in line for Saturday’s programming this year, which included Deadpool, X-Men, and a whole lot of really big names. But because he saw on social media in the morning that they were still handing out wristbands, rather than eyeballing the line, he knew he could get into the room. That’s huge. While I’d like to see a little more transparency about when they’ll start handing out wristbands each day and when lines are allowed to form, I also understand why they don’t want to broadcast those times to avoid a stampede. Leonard: I absolutely see wristbands being a permanent part of Hall H/Ballroom 20 line management from here on in – but it needs to be organized a whole lot better before people start accepting it properly. When you say you’re going to be handing out wristbands at a specific time, hand them out at that specific time. And get more bodies involved to hand them out – you have thousands applying to be volunteering, use them, If the shifts happen to be late at night, so be it. Sully: I’m afraid that the wristband program is here to stay. Part of Comic-Con will always be the lines and CCI knows that they need to try their best to manage the situation. There are some bonuses to the wristband system, like the ability to get a wristband and then come back later. That allows fans some time to actually use their hotel room, take a much needed shower and revive for the next day of fun. However, I am ultimately against this system for several reasons. 2) The process of actually handing out the wristbands takes WAY too long. It took them several hours to hand out the bands. 3) There are SOO many things going on at SDCC that I had to ultimately skip several things this year, including ticketed events that I had purchased months in advance. Going back to number 1 in this list, I am now waiting in line during the day and then into the evening. My event starts at 7pm, but I can’t leave the line for fear of missing out on getting my band. That was not an issue with the old system of simply lining up. If you could change or impact any one single thing that takes place inside the convention, such as the process of exclusives, the autograph lottery, panel lines, etc, which would you tackle? Kerry: I don’t see how CCI and Funko can allow one more year with the current system in place at Funko’s booth. We’ve written about it fairly extensively, but I’d love to see them move to a Sails Pavilion ticket distribution. That helps curb vendors from getting the goods rather than general attendees (though no plan can ever work 100%), and in my opinion, offers the most “fair” solution to the current problems plaguing that booth and its lines. They had a much more organized ticket distribution process at New York Comic Con, so I’m hoping that’s a positive sign for the future at SDCC. I don’t see how CCI and Funko can allow one more year with the current system in place at Funko’s booth. Leonard: I’d move the randomization of ticket draws for autographs/exclusives/etc online to a code/barcode system, or, if you still think it should be a physical process, to a draw held off-site, either at the Hilton, Marriott or wherever – whatever it takes to just get that madness off the Convention Centre floor, it’s somewhere that’s manic and mental enough as it is. The process for the new Fulfillment Room in the Hyatt was perfect – do something like that. Also, to deter exhibitors gaming the system in exclusives lines, issue all exhibitors with specific wristbands that they HAVE to wear, from the moment they get on the floor to the moment they leave. Sully: My biggest issue is the lines for panels. I understand that seating is limited and this causes lines, but it is just getting crazier every year. Of course, every person has their theory on how to fix this. I just wish I could buy seats in advance and know whether or not I would be able to get into any panel well in advance. I realize that comes with a million other problems, but if I am allowed to dream…..
Lines are going to be there, so why not make them fun and entertaining. Provide some entertainment (TV’s broadcasting a Comic Con channel), vendors (so I can buy water, food and swag), contests (after all, this group is THE most dedicated of all fans – they have spent thousands of their hard-earned dollars to stand in line). Just as difficult as getting a badge, if not harder, is scoring a hotel room. What’s the biggest gripe you see from your readers about hotels: prices or availability? Are we stuck with how things are or do you think they’ll ever get better? Kerry: While prices are higher than an average night in the city, CCI has done a fantastic job of keeping prices in check for attendees, compared to what could be happening. The real problem with hotels is that there appeared to be a lack of accountability last year when it came to the issues – and I’m not sure if that’s because CCI isn’t as involved as they are with badges because it impacts them less, because Travel Planners just isn’t equipped to handle 130,000 angry attendees, or something else entirely. The one issue that will never go away is that there is a limited amount of hotel rooms downtown, in the heart of the action, where most attendees want to stay. So of course no process is ever going to make everyone happy, but there has to be a better solution than throwing our hands up and saying, “Oh, well, for 30% of our attendees, the process didn’t work as intended and dramatically impacted them – that’s good enough!”. I really hope CCI and Travel Planners have taken extra steps for 2016 to ensure that the process – whatever it may be – works. This year is going to be really telling for how they handle it and if they implement any changes. Leonard: I’d say it’s availability: I know of people that have to refund their badges purely because they don’t have anywhere to stay during the event. Sure, the rooms still aren’t cheap but they’re a damn sight cheaper than what the hotels themselves would like to charge us, if they could. And people are starting to cotton on to the idea of alternatives – room sharing, condos, commuting from a little farther afield, but these are still options that are thin on the ground and you have to put in a lot of trust in a lot of factors out of your control. I’m hoping things will get better now that CCI have come to some arrangement with the hotel collective and that SDCC had confirmed its residency in the city for a few more years. But here’s hoping that the hotels don’t start taking advantage of that fact. Sully: I think availability is the biggest complaint. Everyone knows and (for the most part) understands that the hotel rooms in a city like San Diego, during an event like Comic Con, will be expensive. As a fan, I am willing to pay that price, but I don’t wanna be 10 miles away. Every year, it seems that some groups get multiple reservations, while others get none. Thankfully the nerd community is full of awesome, helpful people who are willing to transfer their reservations and make sure that others get to go to SDCC. That is, in fact, the only reason I was able to get a room for our group last year. It is 2015 now and technology is bringing us all kinds of amazing advances. There has to be a better way to allocate hotel rooms and make sure everyone gets a chance to enjoy the convention. 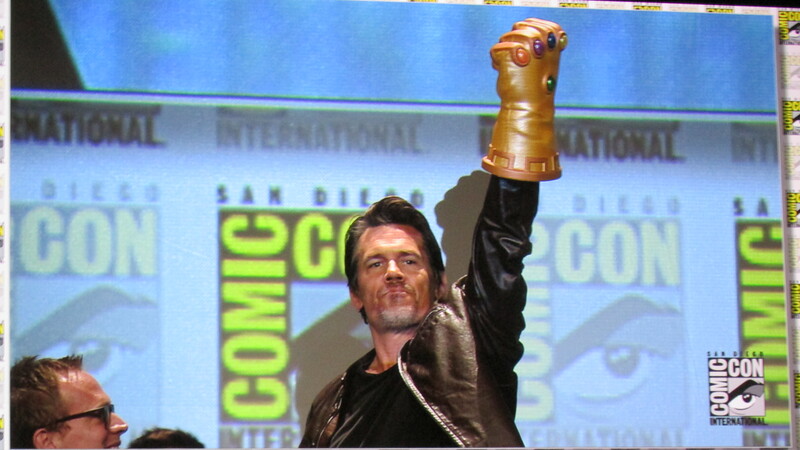 What’s your dream panel for SDCC in 2016? Kerry: Because I write so much about San Diego Comic-Con, I’m always excited by the things that truly surprise me. While not a panel, last year’s off-the-wall KFC Colonel Sanders marketing campaign around the convention center? Genius. Give me more Colonel Sanders dressed as a unicorn, please. But as far as panels go, I’d love to see more new panels – I’d love for HBO to bring The Leftovers or Westworld, I’d love USA to bring Mr. Robot, or FX to bring Fargo, even ABC Family (excuse me, Freeform) to bring Pretty Little Liars. Hell, let’s go crazy and bring Hamilton as an offsite. I think all of those would play really well with that crowd. My real dream panel though is for Netflix to come at all, full stop. With anything. Really, anything. But mostly Sense8 (with cast, and officially sanctioned!). Leonard: I’m actually submitting a pitch for my dream panel for next years SDCC, as it happens, so fingers crossed it’ll come off. I’m not going to say any more about it now in fear of jinxing it! Here’s hoping! Hiddleston as Loki or Robert Downey, Jr. announcing an entire cast of stars. There are no words to describe how awesome those moments were. And while we are at it, why not have the Nerd Fu boys moderate a couple of these and take the weight off of Hardwick’s shoulders. We’re here if you need us SDCC.